BILL GRIFFIN (mandolin, guitar & vocals) has been with CVD since 1973. He is an award winning producer (he produced many of Kate Wolf’s recordings, among others), a luthier, inventor of the Mandolele and has appeared on projects by many artists in Folk, Rock and Hawaiian music. MIKE MULLINS (guitar, mandolin & vocals), CVD’s resident songwriter, joined the group in 1993. Mike has been featured at the Mandolin Symposium in Santa Cruz, CA and his playing can be heard on many projects dating back to his tenure in both the Phil Salazar Band and the Acousticats. His solo project, WINDOWS OF TIME, was recently released. WALLY BARNICK (bass & vocals) played with CVD from 1975 to 1979, then rejoined the group in 1993. A vocalist and bass player, Wally also spent two years with Bluegrass Etc. and is a featured vocalist on their award winning album HOME IS WHERE THE HEART IS. After a 19 year run as the trio, 13 of which, the band was featured on Sunday mornings each Father’s Day at the Live Oak Music Festival near Santa Barbara, CA, they have retired from performing on a regular basis. Accepting an invitation to perform at a planned celebration for what would have been the late Kate Wolf’s 75th birthday, CVD will once again be together for that special event to be held in Berkeley, CA on January 27, 2017. Several Bay area house concerts have been added to round out that weekend. And… on the heels of the invitation to the Kate Wolf event in Berkeley, the good folks at Parkfield Bluegrass Festival have graciously invited CVD to participate in the 2017 version of the annual Mother’s Day weekend music gathering in Parkfield, CA. 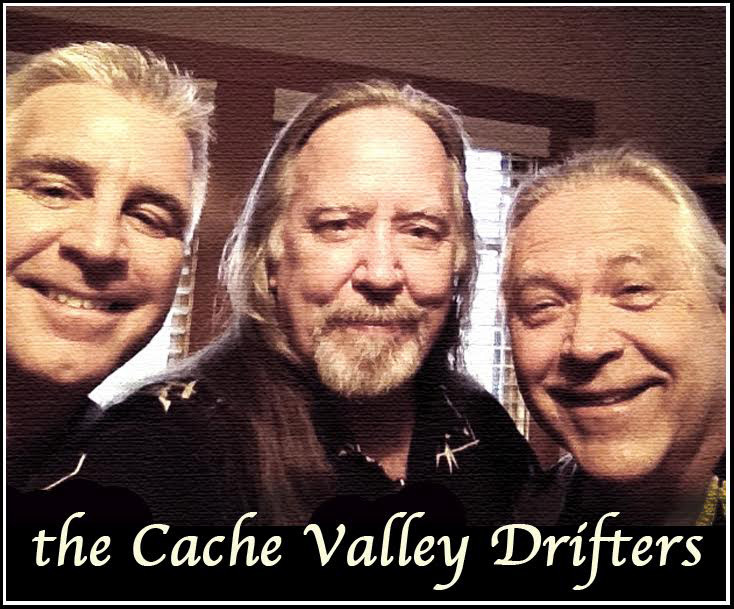 The Cache Valley Drifters are grateful to have been asked to participate in each of these events and look forward to playing together for these few 2017 dates, and spending some time with old and new friends.